A TAX on sugar-sweetened beverages (SSBs) would mean the price at the cash register would more accurately reflect the true cost to Australian society of the diseases they cause, say global health experts. Dr Alessandro Demaio, CEO of the EAT Foundation and an Honorary Fellow at the University of Melbourne, and his co-author, Alexandra Jones, a research associate at the George Institute for Global Health, wrote in the MJA that “political inertia” in Australia was allowing the burden – both financial and health – to mount. “Two-thirds of adults and one-quarter of Australian children are overweight or obese, with higher rates in low socio-economic, rural and Indigenous populations,” Demaio and Jones wrote. 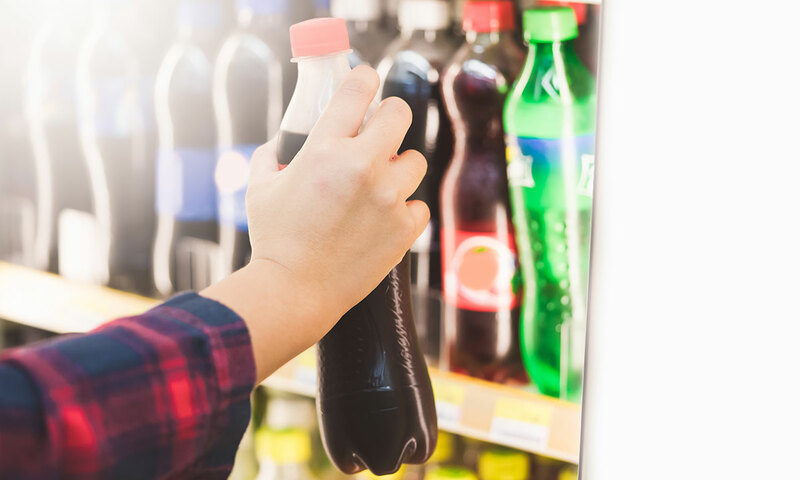 A 20% price rise on SSBs – the so-called “sugar tax” – was forecast to generate $640 million annually, with “mean lifetime health care cost savings of $1.7 billion”. Thirty countries, including recent additions Thailand, Estonia, the Philippines and South Africa, as well the Catalan region in Spain, and seven cities in the United States, have introduced SSB taxes. The World Health Organization acknowledged the mounting evidence that the measures are working to reduce consumption of SSBs, by adding a 20% sugar tax to its list of recommended policies for preventing non-communicable diseases. But, wrote Demaio and Jones, in Australia, the growing evidence and public support – a recent poll showed that 53% of Australians support a tax on SSBs – backed by media clout had done little to elicit more from political policy makers than an acknowledgement that obesity was the nation’s “next big challenge”. “A leaked Australian Beverage Council report revealed significant resources devoted to keeping taxes off the policy table. It named key politicians successfully lobbied, citing support subsequently received,” they wrote. Making change happen would take more than appealing to policy makers, Demaio and Jones argued. “We need to look no further than political rhetoric to understand that policies portrayed as government interference in personal choice are unlikely to gain political favour,” they wrote. Instead, they suggested a policy based on the UK’s Soft Drinks Industry Levy, where a small charge was imposed on producers and importers of SSBs dependent on sugar content, might be a good place to start. “In the UK, revenue raised goes to sports facilities and healthy school breakfast clubs as part of a broader framework for action on childhood obesity. The measure offers inspiration for similarly astute policy design locally. With Australia already lagging behind other nations, the time to act was now, Demaio and Jones concluded. “With the true costs mounting, the science in our favour, the public on side, and a growing chorus of global action, 2018 can and must be the historic year Australia puts people before profits. Slapping taxes onto foods and drinks considered unhealthy is the wrong approach, targets the consumer rather than the manufacturer and simply is an attempt at a quick fix. Better to give the manufacturers incentives to reduce sugar content, perhaps a reduced company tax rate if they comply. We have to stop thinking we can tax our way out of health problems. This is absurd and all doctors who think so are also being ridiculous. The cost of the item is not supposed to reflect health cost Education and choices are the problem. Do we increase the cost of cars because of road deaths and injuries? Taxes are not the democratic way to solve health issues. I am getting sick of this response. people are responsible for their choices. Like crossing the road, People are responsible for looking and avoiding distractions such as head phones not drivers so stop suggesting that we reduce car speeds.